The beginnings of Solberg&Hansen reach up to 1879, when Karl Solberg and Fritjof Hansen met in Oslo for the very first time. 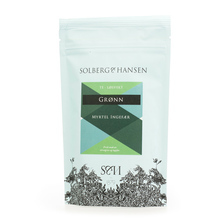 Creating the pioneer Norwegian brand was just a beginning to their adventure with coffee and tea. Today it is the biggest Norwegian roastery, with a worldwide reputation. 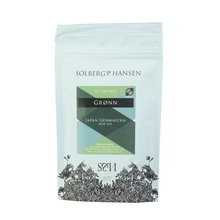 Solberg&Hansen leaves no space for compromises when it comes to quality. They roast only the best speciality beans. To get them, roasters travel to the most remote corners of the world and search for new flavors. 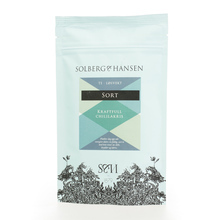 Multiple won titles only affirm that Solberg&Hansen roastery can satisfy even the most demanding coffee lovers – whether they prefer espresso or alternatively brewed coffee. 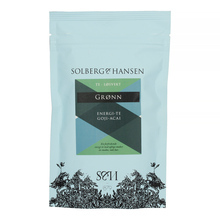 It is worth remembering that Solberg&Hansen also offers great quality tea – carefully prepared blends and mixtures will seduce you with incredible aromas straight from the heart of Norway. 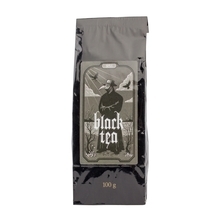 black ginger green herbal rooibos white loose 100 g 40 g 70g Sort by: Price (Low to High) Price (High to Low) Product name a - z Product name z - a Highest rate Lowest rate New in!